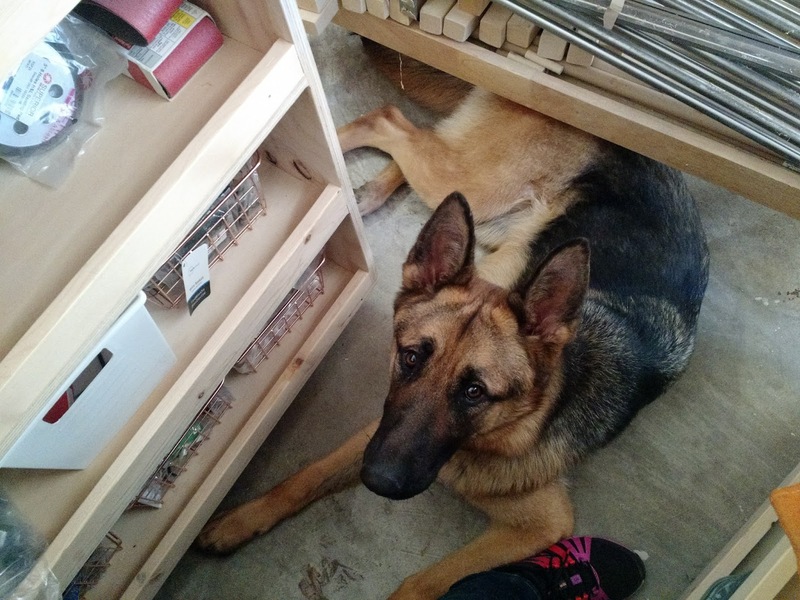 The Project Lady - New Dog = Less Projects for me! New Dog = Less Projects for me! I haven’t been able to do projects very much this last month and a half because we got a dog! I didn’t expect her to be all-consuming of my time. It’s getting better as she’s adjusting to our home and learning to chill out and lay down/relax. Between walking her, playing with her in the yard, brushing her, cleaning up after her, worrying about her chewing something, making sure she’s not going potty in the house, etc I don’t get much accomplished (just remember I have an active toddler at home, too)! 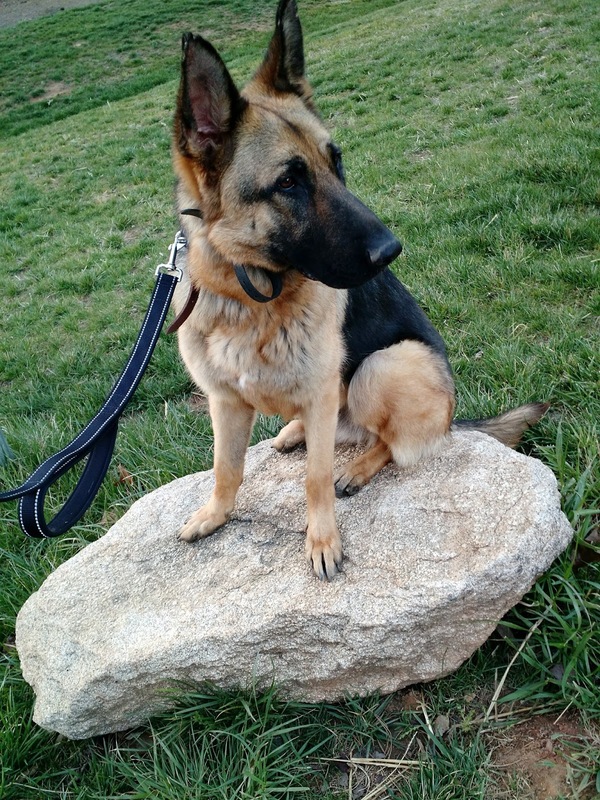 Her name is Heidi and she’s a 15-month-old German Shepherd who came to us with no training and used to living outside. She’s a sweet gal and really good with the kids, especially our little toddler. She’s smart and we’re both learning the in’s/out’s of training. This was my first attempt to do a project in the garage. If she wasn’t right under my feet she was pushing her slobbery squeaky toy on my leg (we’re working on her not doing that).